That here in the U.S. there are no limits to what you can achieve, what you can become, or how much success you can attain. Eli used the $20 to purchase his first investment which was a pair of work boots. From his initial investment, he has built Green Future Construction into one of the highest-rated and most reputable companies specializing in landscaping, construction and tree service in the Washington, DC metropolitan area. 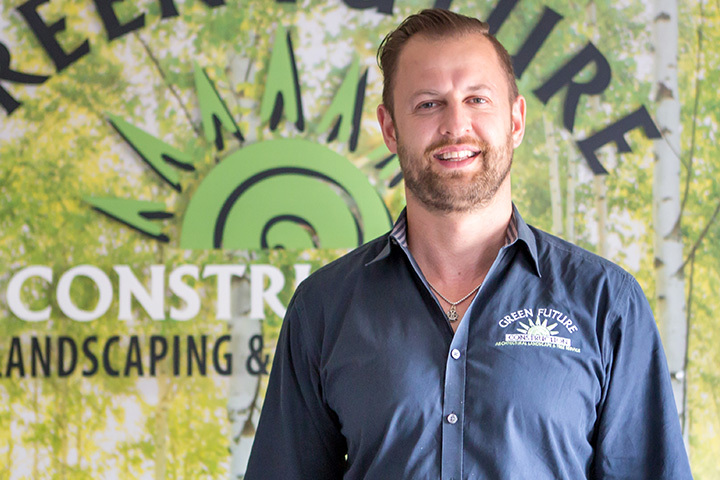 Eli’s achievement and education did not stop with his Bachelor’s degree; he is an ISA Certified Arborist, Certified Horticulturalist and a Certified Landscape Technician. He has also been certified in Erosion & Sediment Control, ICPI, CSRWI, Stamped Concrete. He is a Member of the Rain-Scapes Program in Montgomery County and licensed in Maryland, Virginia, DC and Delaware. Eli’s employees and customers consider him to be exuberant, positive and kind-hearted. He maintains a high standard of quality, which is Green Future Construction’s signature. He routinely visits various job sites to ensure that the work is completed to these high standards. On his downtime, Eli enjoys playing drums, reading, living a healthy lifestyle and spending quality time with his beautiful family and newest addition, son, Marco.